A story about a young Belfast lad growing up in the height of the troubles in Northern Ireland and victim of extreme abuse by his family and at school who is discovered to be a wonderful singer and is whisked away to Rome to be taught by one of the finest singing coaches. Yeah, that's about it, you've read it, believe me. It's written by Brian Kennedy who's better known for his singing and 'platinum-selling' albums like The Great War of Words and Get on With Your Short Life. I've never heard of him so can't comment on his singing or style. 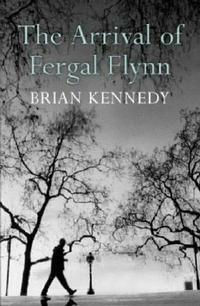 The blurb on the book states that he's had a show on BBC called Brian Kennedy on Song. Again, never heard of it. 'What? Well you're in for the biggest treat of your life, and hopefully the start of a love affair that will only get better as you get older.' Father Mac blushed as he realised what he'd said. 'Ah, no - no, I meant with Joni's music, a love affair with her music.'" A little later on it refers to Joni singing like a 'beautiful lonely blackbird'. Not the comparison I'd have made but there you have it.